Ever used Sitecore's Federated Experience Manager (FXM)? Effectively, it lets you use Sitecore to content manage, track, personalize and test external sites which are not hosted in Sitecore. We've bought a license and plan to migrate to Sitecore later, but we want to start personalizing and gathering analytics on our site now. 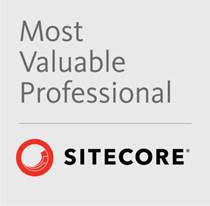 We're moving our main site to Sitecore, but we have some related sites we just don't have time and budget to move now. We want to do a demo or POC using content from a non-Sitecore site, but don’t want to re-create the content in Sitecore. With FXM you can do that. All you need is to place a small bit of script on the external sites. Sadly, that's often not possible. Sometimes the old site is literally on a server that nobody knows how to access. Sometimes you're just doing a POC and nobody wants to edit the old site for that. IIS's Application Request Routing (ARR) to the rescue. IIS has features called ARR and the URL Rewrite module that amount to a reverse proxy that allows you have a “man in the middle” that can manipulate the HTML before it is returned to the browser. Take the path from the inbound request, and form a URL using the Sitecore server’s host name. Fetch the HTML from the Sitecore host. Change the URLS within the HTML for such things as images, scripts, CSS, iframes, etc, so that they will be requested from the ARR and not the Sitecore site. Strip out the “X-Frame-Settings” header (if it exists), which can interfere with FXM Experience Editor. The URL structure in this example would give us a demo/POC website (“demo.mysite.com”) where we can show how a site can be tracked and manipulated with FXM. This could in theory be used for a live site by changing DNS to point www.mysite.com to the ARR, and change the hostname of the Sitecore server to something like Sitecore.mysite.com. From an infrastructure perspective, setting up the proxy server is pretty simple. Install the ARR and URL Rewrite extensions, and create a new site in IIS. Set the binding up so it answers requests from the desired host (in the example above, “demo.mysite.com”). The site folder doesn’t need much; a default.htm page, and an empty web config. The magic all happens in web.config. The URL Rewrite module is governed by rules. There are two sets, one just called “rules” which are used to route requests to the Sitecore server, and another called “outbound rules” which are used to manipulate the responses from Sitecore before they are returned to the browser. Outbound rules also allow you to define “preconditions” that allow you to restrict when an outbound rule will apply. The IIS management console provides an interface for building up all the XML in the config file for all of this. I find that when I’m working with it, I flip between IIS and Notepad++ until I get everything just right. The referenced articles provide good guidance for how to use the URL Rewrite module and set up rules. This example web.config could be used to implement our example. This rule routes requests everything to the external site. This rule removes the X_Frame_Options header, which can prevent the Experience editor from working. This rule removes adds "(via proxy)" to the Server header, to aid troubleshooting. This rule injects the FXM script into the HTML from the external site. This precondition allows the outbound rules to only act on html responses.